While engine power and development surged on motorcycles thru the 1960s and 80s, suspension and braking development fell behind leaving machines that struggled to meet the performance demands and comfort needs of their riders. 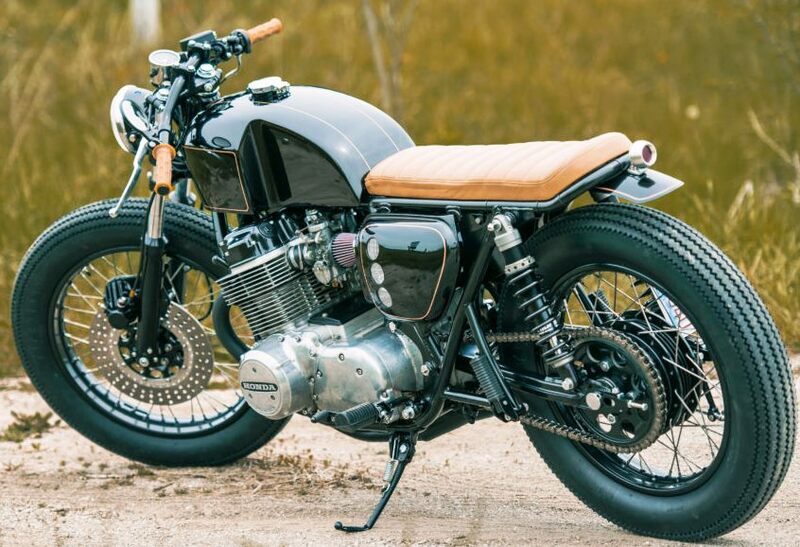 Race Tech has used modern R&D to fine tune forks, shocks, and drum brakes for most models providing top of the line modern feeling suspension for your vintage motorcycle. "I chose Race Tech for my AHRMA 350 Sportsman and it really works! Matt guided me on choices and performed a complete fork conversion. We hard anodized it along with Gold Valves and Custom Fork Springs. The black and red G3-S shocks work even better than they look! I was not sure of having Brake Arc was really worthwhile but WOW was it! My Race Tech setup put me on the podium my very first ever AHRMA race weekend!." Race Tech's G3-S Custom Series Twin Shocks for Vintage Motorcycles are custom built to order with your choice of features & length. 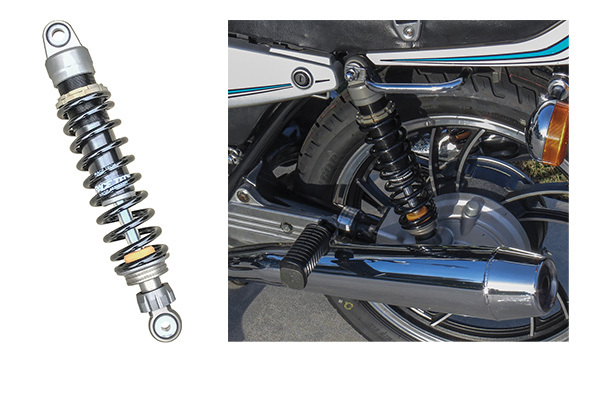 These shocks have been praised by both street riders and AHRMA Road Racers alike in all types of conditions all over the world. Engineered to be ultra-durable and tested on the track to shave seconds off your lap times or provide comfort and confidence on the street; these shocks are state-of-the-art. Please note colored fork tubes from TNK are only offered for select late model USD Inverted forks & Not vintage RSD Conventional fork applicaitons. TNK Tech Support please Email Matthew Wiley Matt can also be reached at 951-279-6655 during regular business hours PST Monday - Friday. 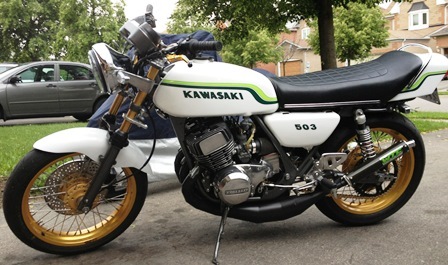 Perhaps the most iconic of 70's Japanese motorcycles were the lightweight Two Stroke machines. These giant killers were often humiliating bikes of much larger displacement on the street or the track. They helped coin the term 'Squid' in the California Canyons back in the day. Kawasaki Triples are a handful, bring them under control with desperately needed fork upgrade. G3-S Shocks can be made to any length and adding 1" to the stock length will help make the Kawi H2 handle like it should! Suzuki GT Series respond very will to proper fork spring rates and Emulators. 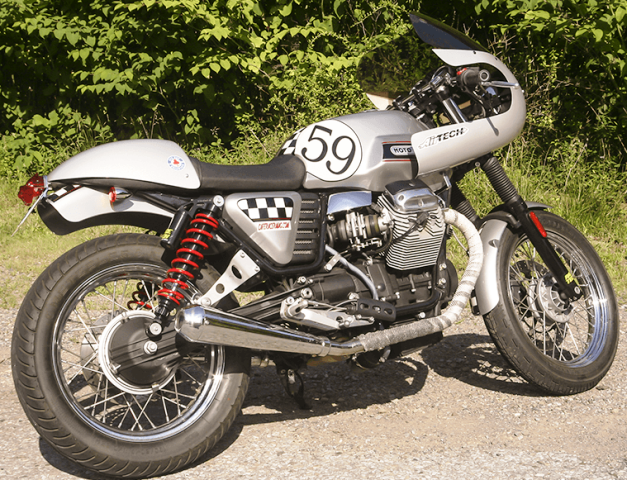 G3-S shocks dropped seconds off lap times on AHRMA GT550 Road Racer. Have an RG500? We have suspension solutions! Yamaha RD's and RZ's were among the best handing bikes of their day yet they feel soft and squishy by today's standards but we can fix that! We have fork kits specifically for the 34mm KYB forks and G3-S Shocks for a balanced setup. From '73 RD250 to '85 RZ500 Spring and Gold Valve options are available. Imagine how much better your ring-ding could be with proper suspension and brakes! The growl of a Triumph Twin or the howl of a GS1000 both are music in motion for the vintage enthusiasts. Big bore four strokes were defined by Japanese models of the 70s and 80s along with European bikes from BMW, Ducati and Laverda. These fast, heavy machines put a high demands on their suspension, typically overwhelming it. Race Tech can address these short-comings, greatly improving handling and comfort. 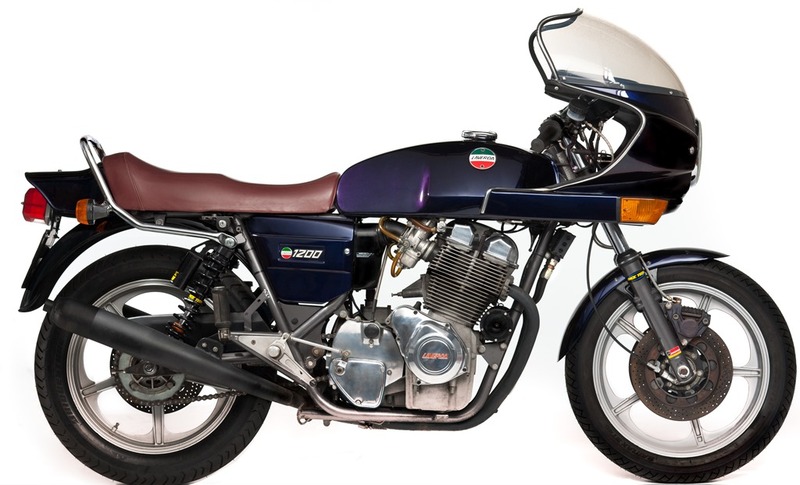 Honda CB550/750/900 defined the class for Japanese bikes in the 70s and then there was the CBX. The Honda models handed well in their day, modernize them with Race Tech upgrades! Kawasaki brought power to the table the the Z900 and Z1000 models that, much like their two stroke predecessors, went faster than the stock suspension could cope with. We can fix that! Suzuki brought balance with the GS550/750/1000/1100 in the late 70s. The GS series bikes handled well back then but by today's standards, not really. Proper Fork Springs, Emulators and G3-S shocks change the game making the GS bikes really handle! Custom Classic Builds have become very popular. The only limits are the owners imagination and budget! Why use 'off the shelf' generic suspension? Custom Builds work best with Custom Suspension. Race Tech has Fork Upgrade and G3-S Shock solutions for any build, any budget. Brake Arcing is available for drum brakes and strongly recommended. 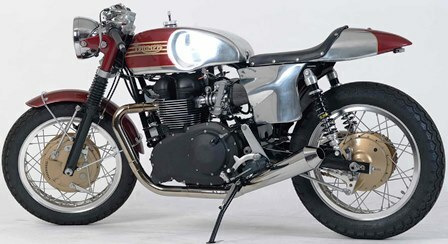 Both Vintage as well as late model British, Harley and Asian platforms are popular for Cafe builds. The only limits are the owners imagination and budget! 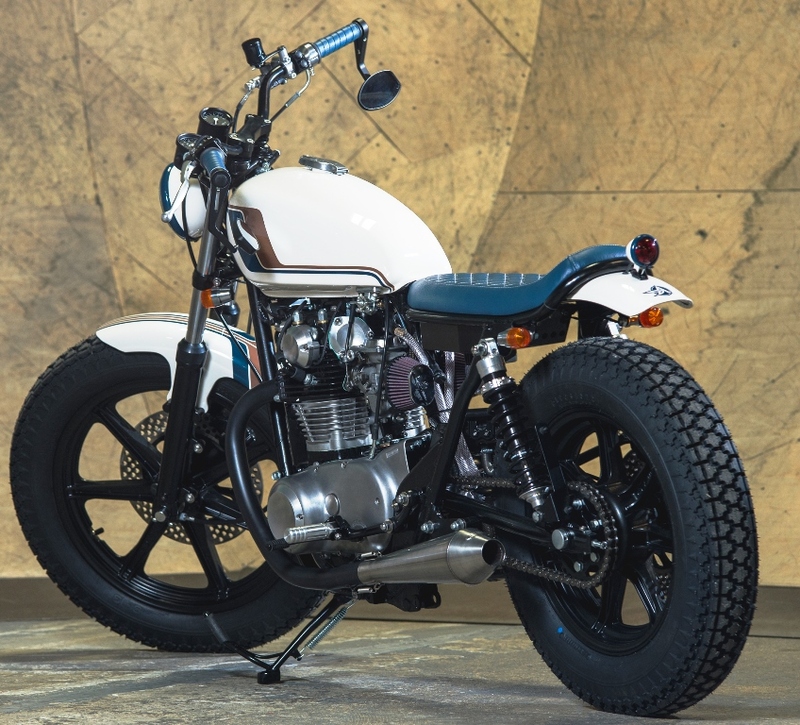 Cafe bikes range from strip down low bar models that need better springs to full on customs with late model inverted forks, mono-shocks and everything in between. Race Tech has Fork Upgrade , G3-S Shock and G6 Custom Fork Solutions for any build, any budget. Brake Arcing is available for drum brakes and strongly recommended. 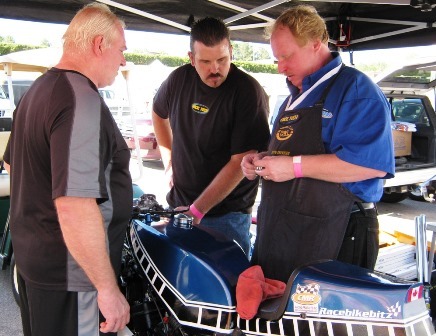 Race Tech supports Vintage Road Racing in the USA and abroad. Our settings are under constant development in Race Tech R&D. Honda 350 Sportsman AHRMA racer pictured has full Race Tech Setup; Full Fork Conversion, G3-S Custom Shock, Brake Arcing Front and Rear. These upgrades helped it's 70 year old owner/rider John Miller to podium on his first ever road race weekend! From CB160, GP200 small bikes all the way up to Vintage Superbike and everything in between Race Tech has you chassis needs covered with Fork Upgrades, G3-S Custom Shocks, Brake Arc and even Chassis Geometry Analysis Race Tech is your one stop vintage suspension shop! Race Tech Suspension Greatly Improves Street Bikes! Just because you are not a Racer or Custom Builder doesn't mean you won't greatly benefit from Race Tech Upgrades to your Street Bike. This Race Tech Equipped Yamaha Turbo is ridden comfortably cross county on a regular basis in Touring Bike Comfort as a result. 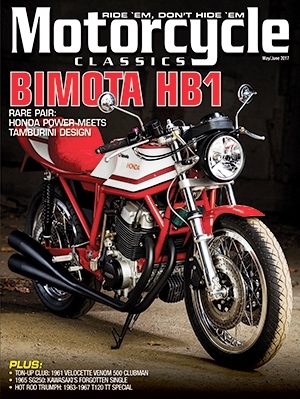 Matt Wiley aka 'Vintage Guy' will be at the 2019 Barber Vintage Festival for Rider Support. Email Matthew Wiley to schedule Barber Track Service. Race Tech was pleased to exhibit again at the 7th annual American International Motorcycle Expo 2019. 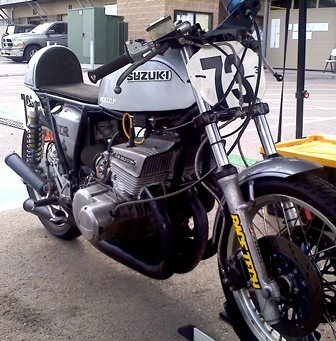 "I am currently under construction on a 1982 Honda CB750F I will be running this year in the ARMA Vintage Superbike Heavyweight class. I am a small fish in a huge pond so this is an large undertaking for me and I want to express my appreciation to Matthew and compliment his willingness to answer my questions and offer technical advice. Matthew didn't try to rush through my questions just to "make a sale" and get rid of me." Matt can also be reached at 951-279-6655, Ask for Matt or 909.273.4985 during regular business hours PST Monday - Friday.